More Valentine's inspiration for you! 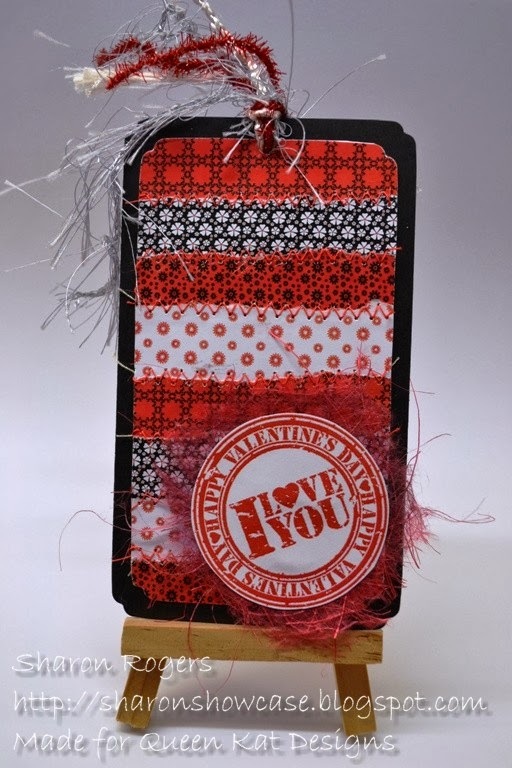 I'm not really a romantic person but it is fun to create Valentine's projects! These could be tags or bookmarks as I kept them fairly flat with not too many embellishments. My first tag is in red, black & white colour scheme. Patterned digital papers (from Below Blink Etsy Store) were torn and adhered to the card and then I used my sewing machine to sew along the join of each strip. 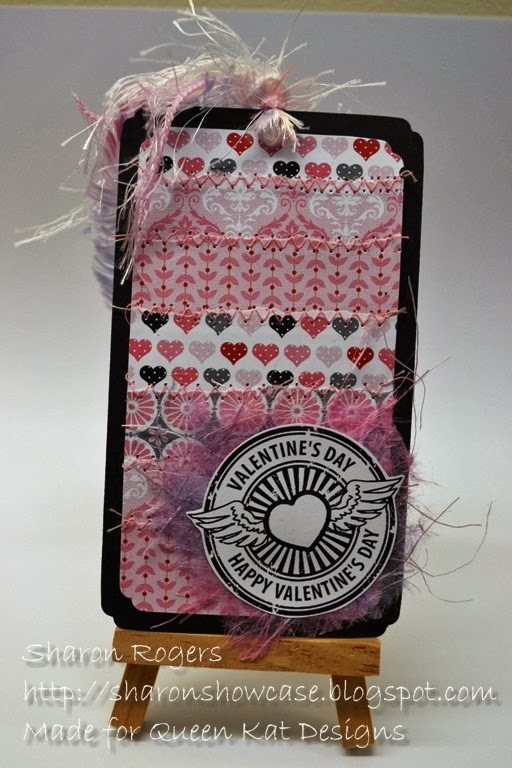 My second tag has pink, grey & black colour scheme with Digital Patterned Papers from SheryK Designs Etsy Store. Why not pop over to the QKD Store and get yourself some new images! Back next week with some more inspiration for you!